However far one may deconstruct the concept of Romanisation, two facts (at least) remain: the dominance, from Britain to Syria, by the middle of the first century AD, of a single, Roman, monetary system; and the discovery in modern times of thousands of hoards of Roman coins, mainstream and provincial, which are the most visible concrete manifestation of that system. The purpose of this data-base is to make available bibliographical information about these coin hoards, as a tool in the comparative study of monetary use, monetary circulation, and monetary history, over the whole world ruled by, and in contact with, the Roman Empire; we attach particular importance to the presence of material from Italy, the centre of the Roman Empire, and to the inclusion of hoards of provincial, as well as mainstream issues. We have sought to include in the first instance those hoards which are of substantial size, and whose contents are reasonably well known; however, we have also included hoards that do not meet either or both of these criteria, but that are interesting because of their rarity or uniqueness in their particular context. as well as small or imperfectly known hoards that have come our way. On the other hand, the material includes a number of hoards that are unpublished, but that one of us has seen on display in a museum; but any systematic study of these will in our view for the foreseeable future belong in chronologically or regionally specialized studies. We are beginning by making available material on hoards closing between Tiberius and Septimius Severus. We look forward to receiving additions and corrections to this and future tranches of hoard material; hoards closing with Augustus may be found in Roman Republican Coin Hoards, an updated version of which will in the near future be made progressively available on the Imagines Italicae web-site. The information provided here is generally as initially recorded by Michael Crawford, but this will gradually be standardised and further details added. Apart from publishing finds of ancient coins from Germany in the series "Fundmünzen der römischen Zeit in Deutschland (FMRD)", the project Fundmünzen der Antike (FdA) also holds a substantial digital library of records of coin finds in its computer database, NUMIDAT. At present NUMIDAT contains nearly 90,000 records, including data on some 60,000 coins from the city of Rome (sotto suolo urbano) held in the Museo Nazionale delle Terme and the Museo Capitolino. Until 2002 records were stored on NUMIZ, the database of the Coin Cabinet of the National Museum of Slovenia. Since then the project has developed its own, tailor-made application using FileMaker Pro®. An online version, NUMIDAT-WEB, is now online and in the evaluation stage. While NUMIDAT-WEB is not intended to replace the analogue publication of the main volumes of the FMRD-series, it is envisaged that NUMIDAT-WEB will replace future supplemenatry volumes. Reprinting, in co-operation with authors and publishers, rare and out-of-print theology books and articles. Providing, with the help of volunteers, translations of theological articles in a number of languages. Collections relating to antiquity recently announced on the ARTstor blog. St George of the Greeks; Interior apses and vaulting, 14th century. Famagusta (Ammochostos, Gazimagusa), northern Cyprus. Allan Langdale Digital Archive of Cypriot Art and Architecture. © Allan Langdale 2008. ARTstor is sharing more than 3,300 images of the historical architecture of Cyprus by Allan Langdale in the Digital Library. This collection was compiled between 2006 and 2008 and focuses on the lesser known and, in some cases, endangered architecture and archaeological sites of northern Cyprus. The archive includes Bronze Age sites such as Enkomi and the Tombs of the Kings, and the early Christian basilicas of Salamis. A significant portion of the collection is dedicated to the Byzantine architecture of the region, including examples that have received less attention from researchers since the embargo imposed on North Cyprus in 1974. There are very detailed sets of images of the better-known buildings, such as the Panagia Kanakaria. The Gothic monuments of the region are also well represented in the collection, including the medieval churches of Nicosia/Lefkoşa—such as the St. Sophia Cathedral and St. Nicholas Bedestan—and the Abbey of Bellapais. The most comprehensive portion of the collection focuses on the Lusignan Gothic churches of Famagusta, including St. Nicholas cathedral, St. George of the Greeks, St. George of the Latins, and Saints Peter and Paul. Allan Langdale is an art historian, photographer, and filmmaker whose current research interests are in Cyprus, where he has done work on the medieval and Venetian monuments of Famagusta. He also has interests in the theory and methodology of art history and film theory. For more detailed information about this collection, visit the Allan Langdale: Cyprus Archive page. World Monuments Fund is the leading independent organization dedicated to saving the world’s most treasured places. Since 1965, in more than 90 countries, WMF experts have applied proven techniques to preserve important architectural and cultural heritage sites. Through partnerships with local communities, funders, and governments, the organization inspires an enduring commitment to stewardship for future generations. Every two years WMF publishes the World Monuments Watch, drawing international attention to cultural heritage sites around the world threatened by neglect, vandalism, armed conflict, commercial development, natural disasters, and climate change. Through the World Monuments Watch, WMF fosters community support for the protection of endangered sites, and attracts technical and financial support for the sites. The collection in ARTstor consists of images documenting various Watch List sites and monuments, with a particular focus on art and architecture. For more detailed information about this collection, visit the World Monuments Fund collection webpage. The spectacular monuments and cities of the ancient Near East are testament to an industrial past where large-scale stone procurement remains unsurpassed. Yet, stone quarries are forgotten as key archaeological sites, rich in material remains of crucial significance if we are to understand the social and technological practices of an age when stone was quarried and transported par excellence. Largely invisible, undocumented and unprotected, these ancient quarry landscapes are being destroyed from actions such as modern development and quarrying. The inspiration for the ‘QuarryScapes' project comes from the necessity to put these ancient industrial landscapes on the map before it is too late and to raise awareness of their research potential across a broad spectrum of audiences, from archaeological researchers to the interested public. The ‘QuarryScapes' project drew together professionals from academic and other institutions in Egypt, Jordan, Turkey, UK, Belgium, Italy and Norway to focus specifically on documentation, conservation and heritage management of these fragile quarry landscapes within the first collaborative and innovative project of its kind. Deliverable No 4, Work Package 4: Characterisation of complex quarry landscapes; an example from the West Bank Quarries, Aswan. 275 pp, ISBN 978-82-7385-118-4. Edited by: Elizabeth Bloxam, Tom Heldal, Per Storemyr. Authors: Elizabeth Bloxam, Tom Heldal, Per Storemyr, Adel Kelany, Patrick Degryse, Reidulv Bøe, Axel Müller. Download report, mapsheet 1, mapsheet 2. Deliverable No 5, Work Package 4: The assessment of significance of ancient quarry landscapes - problems and possible solutions. The case of the Aswan West Bank. 26 pp, ISBN 978-82-7385-119-2. Author: Elizabeth Bloxam. Download report. Deliverable No 1, Work Package 1: Landscape and provenance and conservation of stone sources from selected archaeological sites in Jordan, 175 pp, ISBN 978-82-7385-26-0 Edited by: Nizar Abu-Jaber and Ziad Al Saad Authors: Nizar Abu-Jaber, Ziad Al Saad, Mohammed Al Qudah, Nihad Smadi and Abeer Al Zoubi. Download report. Deliverable No 2, Work Package 2: Inventory of Ancient quarry landscapes in Turkey: their characteristics, production and state of conservation. 29 pp, Edited by: Emine Caner Saltik. Authors: Emine N. Caner-Saltık, K. Göze Akoğlu, Evin Caner-Özler, Kemal Erdoğan, Alp Güney, Sinan Sülüner, Tamer Topal, Ayşe Tavukçuoğlu, V. Toprak, A.G. Turkmenoglu, M. C. Ustunkaya Taliye Yaşar. Download report. Deliverable No 3, Work Package 3: The Sagalassos quarry landscape: bringing quarries in context, 84 pp, ISBN 978-82-7385-122-2 Edited by: Patrick Degryse Authors: Patrick Degryse, Tom Heldal, Elizabeth Bloxam, Per Storemyr, Marc Waelkens, E. Trogh, Hannelore Vanhaverbeke, Jeroen Poblome, Philippe Muchez. Download report. Deliverable No 6, Work Package 5: Risk Assessment and Monitoring of Ancient Egyptian Quarry Landscapes, 207 pp, ISBN 978-82-7385-125-3 Editors: Per Storemyr, Elizabeth Bloxam, Tom Heldal Authors: Per Storemyr, Elizabeth Bloxam, Tom Heldal, Adel Kelany, James A. Harrell, Rawda Yousri, El Shaimaa Fathy. Download report. Deliverable No 7, Work Package 6: Site Management Concepts for Widan el Faras, Northern Fayoum, Egypt. 40 pp + appendices, ISBN 978-82-7385-135-4 Prepared by NSCE with the close collaboration with Naguib Amin. Download report. Deliverable No 8, Work Package 7: GIS Products for Management of Ancient Stone Quarry Landscapes: three Egyptian Site Maps, 20 pp and 7 maps, ISBN 978-82-7385-123-9 Edited by: Naguib Amin, Rawda Yousri, Sara Kayser Authors: Elshimaa Fathy, Marwa Sadek, Rabab Abd-el-Kader, Rawda Yosuri, Sara Kayser. Download report. Deliverable No 9, Work Package 7: Map of Ancient Egyptian Stone Quarries, 26 pp /6 maps, ISBN 978-82-7385-133-8 Edited by: Naguib Amin, Azza Shawarby, Rawda Yousri, Sara Kayser Authors: Elshimaa Fathy, Marwa Sadek, Rawda Yousri, Sara Kayser. Download report. Deliverable No 10, Work Package 8: Identifying heritage values and character-defining elements of ancient quarry landscapes in the Eastern Mediterranean: an integrated analysis. 161 pp, ISBN 978-82-7385-134-6 Authors: Elizabeth Bloxam and Tom Heldal. Contributions from: Turkey: Emine N. Caner-Saltık, K. Göze Akoğlu, Evin Caner-Özler, Kemal Erdoğan,Alp Güney, Sinan Sülüner, Tamer Topal, Ayşe Tavukçuoğlu, V. Toprak, A.G.Turkmenoglu, M. C. Ustunkaya Taliye Yaşar Jordan: Nizar Abu-Jaber, Ziad Al Saad, Mohammed Al Qudah, Nihad Smadi and Abeer Al Zoubi Egypt: Naguib Amin, Adel Kelany, Rawda Yousri, Sara Kayser, Elshimaa Fathy, Marwa Sadek, Rabab Abd-el-Kader Belgium: Patrick Degryse, Marc Waelkens, E. Trogh, Hannelore Vanhaverbeke, Jeroen Poblome, Philippe Muchez Norway: Per Storemyr, Reidulv Bøe, Axel Müller Italy: Lorenzo Lazzarini. Download report. Delivery No 11, Work Package 9: QuarryScapes guide to ancient stone quarry landscapes: documentation, interpretation, and statement of significance. 85 pp, ISBN Compiled by: Tom Heldal and Elizabeth Bloxam Contributions from: Turkey: Emine N. Caner-Saltık, K. Göze Akoğlu, Evin Caner-Özler, Kemal Erdoğan, Alp Güney, Sinan Sülüner, Tamer Topal, Ayşe Tavukçuoğlu, V. Toprak, A. G. Turkmenoglu, M. C. Ustunkaya Taliye Yaşar Jordan: Nizar Abu-Jaber, Ziad Al Saad, Mohammed Al Qudah, Nihad Smadi and Abeer Al Zoubi Egypt: Naguib Amin, Adel Kelany, Rawda Yousri, Sara Kayser, Elshimaa Fathy, Marwa Sadek, Rabab Abd-el-Kader Belgium: Patrick Degryse, Marc Waelkens, E. Trogh, Hannelore Vanhaverbeke, Jeroen Poblome, Philippe Muchez Norway: Per Storemyr, Reidulv Bøe, Axel Müller Italy: Lorenzo Lazzarini. Download report or follow this link for the web version. Deliverable 12: QuarryScapes workshop proceedings – abstracts and extended abstracts. Edited by Patrick Degryse, Tom Heldal and Elizabeth Bloxam. Download. Deliverable 13: QuarryScapes Atlas of Ancient Stone Quarry Landscapes. Download report version or follow this link. Bloxam, E. (2007): Who were the pharaohs' quarrymen? Archaeology International , 9: 23-7. Bloxam, E. (in press) ‘Mapping ancient quarry landscapes’. Egyptian Archaeology 34. P. Degryse, Ph. Muchez, M. Waelkens (2007) Geology and archaeology of late Hellenistic limestone quarries at Sagalassos. MARMORA, 2, 9-20. P. Degryse, M. Waelkens, P. Vandevelde, Ph. Muchez, W. Viaene (2008) Weathering of limestone in the historical buildings of Sagalassos, in: P. Degryse, M. Waelkens (eds.) Sagalassos VI, Geo- and Bio-Archaeology at Sagalassos and in its Territory, Leuven University Press, 215-227. P. Degryse, T. Heldal, E. Bloxam, P. Storemyr, M. Waelkens, Ph. Muchez (2008) The Sagalassos quarry landscape: bringing quarries in context, in: P. Degryse, M. Waelkens (eds.) Sagalassos VI, Geo- and Bio-Archaeology at Sagalassos and in its Territory, Leuven University Press, 261-290. Heldal, T., Bloxam, E., Storemyr , P. 2007: Unravelling ancient stone quarry landscapes in the Eastern Mediterranean: three Egyptian case studies. In Broadening Horizons: Multidisciplinary Approaches to Landscape Study, eds Bart Ooghe and Geert Verhoeven, Newcastle: Cambridge Scholars Press, 90-112 Abstract online. Storemyr, P., Bloxam, E., Heldal, T. & Kelany, A. (in press): The Aswan West Bank ancient quarry landscape: Stone procurement, hunting, desert travel and rock-art from the Palaeolithic to the Roman period. Papers from the conference: The First Cataract: One region – Various Perspectives. Berlin, September 2-5, 2007. Storemyr, P., Bloxam, E., Heldal, T. & Kelany, A. (in press): Ancient Desert and Quarry Roads on the West Bank of the Nile in the First Cataract Region. Desert Road Archaeology, edited by Heiko Riemer and Frank Förster. Storemyr, P., Bloxam, E., Heldal, T. and Kelany, A.: ‘Conservation of Ancient Stone Quarry Landscapes in Egypt' in Prehistoric Mines and Quarries: a Transatlantic Perspective . 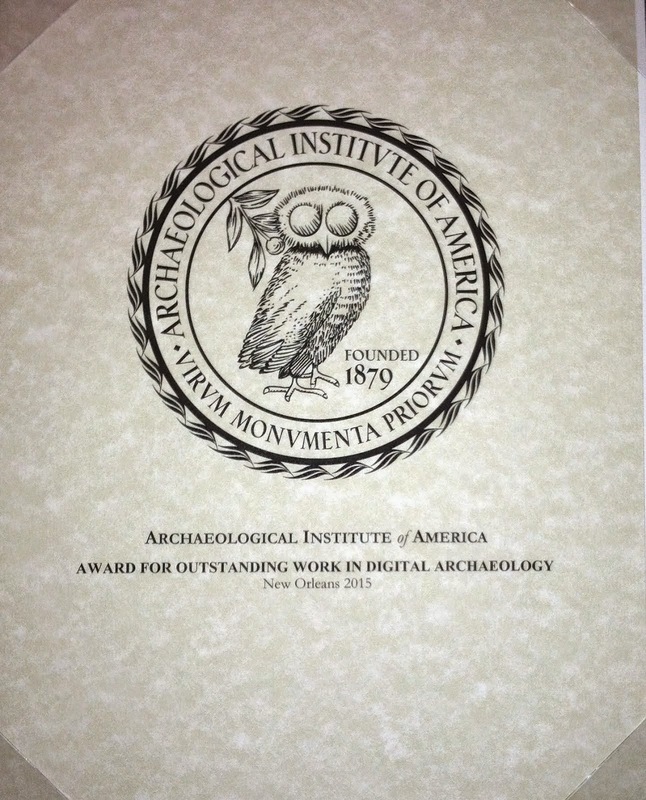 Papers from the Society for American Archaeology, 71 st Annual Meeting, April 26-April 30 2007, San Juan, Puerto Rico. Bloxam, E., Heldal, T. & Storemyr, P. (2005): QuarryScapes: conservation of ancient stone quarry landscapes in the Eastern Mediterranean. British Egyptology Congress, Cambridge, 24-25 September. Bloxam, E., Storemyr, P., Heldal, T. & Kelany, A. (2006): "The myth of control": Re-assessing the role of the Egyptian state in ancient quarrying. ASMOSIA 8 , Aix-en-Provence, June 2006. Presentation and abstract in "Book of Abstracts". Abstract online. Degryse, P., Bloxam, E., Heldal, T., Storemyr, P. & Waelkens, M. (2006): Quarries in the landscape : a survey of the area of Sagalassos (SW Turkey). ASMOSIA 8 , Aix-en-Provence, June 2006. Presentation and abstract in "Book of Abstracts". Abstract online. Heldal, T., Bloxam, E., Storemyr, P. & Kelany, A. (2006): Interpreting a physical stone quarry landscape; the case of the Aswan West Bank quarries, Egypt. ASMOSIA 8 , Aix-en-Provence, June 2006. Presentation and abstract in "Book of Abstracts". Abstract online. Kelany, A. (2006): Marks of quarry workers at the Unfinished Obelisk Quarry, Aswan, Egypt. ASMOSIA 8 , Aix-en-Provence, June 2006. Presentation and abstract in "Book of Abstracts". Abstract online. Storemyr, P., Bloxam, E., Heldal, T. & Kelany, A. (2006): Difficulties in preserving an extensive ancient stone quarry landscape: The Aswan West Bank Quarries (Upper Egypt). ASMOSIA 8 , Aix-en-Provence, June 2006. Presentation and abstract in "Book of Abstracts". Abstract online. Bloxam, E. (2007) ‘The West Bank Aswan ancient quarry landscape: raising the significance and value of an invisible archaeological site under threat’. British Museum International Egyptological Colloquium, 11-13 July. ‘Digging Diary’ Egyptian Archaeology Bulletin of the Egypt Exploration Society, No. 32 Spring 2008, pp. 28. 'News and Notes: Quarryscapes' Egyptian Archaeology Bulletin of the Egypt Exploration Society, No. 29: 8 Autumn 2006. Heldal, T. (2006): Research summary: QuarryScapes — EU project on ancient quarries. ASMOSIA Newsletter , Vol. 16, Issue 2, Fall 2005/Winter 2006. Online. EAIS presentation of QuarryScapes and Egyptian Quarries. Online. Fayoum's ancient quarry under threat. Feature article by Nadja Tomoum. Al-Ahram Weekly (Cairo), April 2006. Online. Egyptian Antiquities Information system – EAIS Newsletter, December 2005: QuarryScapes field school in Aswan. Conservation of ancient stone quarry landscapes in Egypt. Online. Egyptian Antiquities Information system – EAIS Newsletter, March 2006: QuarryScapes Kick-Off 30 Jan – 01 Feb 2006. Online. Presentation of the work at Sagalassos at "Archaeology's interactive dig". Online. Trismegistos People is a tool dealing with personal names of non-royal individuals attested as living in Egypt in documentary texts between BC 800 and AD 800, including all languages and scripts written on any surface. Not included are pharaohs, emperors, and saints; people attested in texts outside Egypt (with the exception of some Prosopographia Ptolemaica entries) or people living outside Egypt (no consuls! ); and names from non-documentary texts (e.g. narratives). Trismegistos People consists of a complex set of prosopographical and onomastic databases. At the heart of the structure is the REF database, which lists attestations of people identified by personal names. It is linked to PER, a database of individuals, and to NAMVAR, a database of personal name variants which is in turn linked to NAM, a database of names. La Subdirección General del Instituto del Patrimonio Cultural de España, adscrita a la Dirección General de Bellas Artes y Bienes Culturales del Ministerio de Cultura, es la institución estatal dedicada a la conservación y restauración de los Bienes Culturales que conforman el Patrimonio Histórico Español. La elaboración y ejecución de planes para la conservación y restauración de bienes culturales constitutivos del Patrimonio Español. El establecimiento de líneas de investigación, criterios, métodos y técnicas de conservación y restauración de dicho patrimonio. La formación de técnicos y especialistas que desarrollen esta labor. El archivo de la documentación generada por cada intervención. La difusión y divulgación de dichas actividades. Para dar a conocer los proyectos que el IPCE lleva a cabo, tanto a investigadores y especialistas, como al público en general, el centro desarrolla una línea editorial integrada por publicaciones monográficas y tres revistas de aparición periódica. De estas últimas cabe reseñar, en primer lugar, la denominada Patrimonio Cultural de España. Tiene unaperiodicidad cuatrimestral y el soporte en el que se difunde es el papel. Su objetivo principal es potenciar las diferentes líneas de investigación del IPCE en el exterior, abordando ampliamente temas de carácter general pero incluyendo también el análisis de destacadas intervenciones de recuperación del Patrimonio Cultural, permitiendo, de esta forma, el debate entre especialistas. Las otras dos publicaciones periódicas que edita el IPCE tienen formato digital y pueden ser consultadas en su página Web. Son el Boletín Digital, que de forma resumida pretende dar a conocer los proyectos de conservación y restauración de mayor relevancia que han sido realizados por el Instituto, así como divulgar las noticias y actividades generadas por la actividad del IPCE, y la revista Informes y Trabajos. Esta última publicación, tiene aparición semestral, y su contenido gira en torno al Patrimonio Histórico. De sus dos números anuales, el primero se dedica a la difusión de las Campañas arqueológicas llevadas a cabo en el exterior durante al año anterior, financiadas con cargo al Programa de Ayudas para Proyectos Arqueológicos en el Exterior, que anualmente instrumenta la Dirección General de Bellas Artes y Bienes Culturales del Ministerio de Cultura a través de la Subdirección General del Instituto del Patrimonio Cultural de España. El segundo se destina a las intervenciones que realizan las diferentes áreas del IPCE. Son proyectos de Investigación, Conservación y Restauración, todos ellos tratados en profundidad, con una temática heterogénea, como corresponde a las diferentes tareas que se llevan a cabo desde el IPCE. JSesh is a free, open source, editor for ancient Egyptian hieroglyphic texts. It's currently quite powerful, and it covers most of the so-called Manuel de Codage. If you use JSesh, please register. Registering is free, and useful for everyone. JSesh is a complete and professionnaly usable hieroglyphic editor. It is is definitly allowed to use JSesh for publication. Mention of its use (in the same way one does mention fonts used in a book) would be nice, but is not an absolute requirement. JSesh is free: you can download and use it at no cost, and give copies of it. JSesh is opensource: its java code is freely available (under the LGPL license). For the user, it's definitly safer, as it means that, even if its present author was unable to work on it, other computer scientists might take on the development. some changes in preferences were not always taken into account on Mac OS X. Solved. Alas, still no version for Mac OS X Tiger. In 2009 Ithaka S+R investigated the sustainability strategies of twelve digital content projects in the higher education and cultural heritage sectors in the US, UK, France, Germany, and Egypt. Two years and one economic crisis later, Ithaka S+R, with the generous support of the JISC-led Strategic Content Alliance, decided to revisit the original twelve case studies to see how their models had held up, where weaknesses might be starting to show, and what new strategies project leaders were adopting in response. Updating the SCA/Ithaka S+R Case Studies in Sustainability revealed many changes: two projects have significantly re-imagined their core mission, one radically so. Several have faced severe budget cuts, leading them to consider other approaches; some have been quite successful by continuing to build on what was already a strong value proposition and show continued signs of entrepreneurial drive and a willingness to experiment with new revenue streams. Below is a curated bibliography of quality digital image collections spanning ~85 subjects, including ~950 digital collections, that have been culled primarily from the LibGuides Community, and several subject areas have been further refined by 20 subject liaison librarians at the University of Minnesota - Twin Cities. To browse by 8 general discipline areas see: https://www.lib.umn.edu/media/imageguide (non-editable). The goal of the site is to share this work with the visual resources community, hopefully making the resource stronger through participation for others to repurpose. To Contribute: first, login (Top right hand corner. Non-ALA Members register here free). Then, feel free to add exemplar digital image collections, create new subject areas, clean up descriptions, revise links, and of course, repurpose for your audience! Please do not add print-only sources nor links to other image guides. Acknowledgements and copyright/citation information are on the bottom. The online journal Analytical Approaches to World Music (AAWM) aims to bring together analysts from a broad range of conceptual and cultural traditions in order to explore new modes of musical description and understanding capable of navigating the multicultural soundscape of the twenty-first century. In so doing, AAWM seeks to expand the potential for musical analysis from a cross-cultural perspective by applying diverse theoretical and analytical concepts to repertoires outside the Western art music tradition. We welcome submissions that examine world musical traditions from a wide variety of analytical and theoretical perspectives. These may include, but are not limited to: the adaptation of analytical approaches usually associated with Western art music to address various world music traditions; the use of indigenous analytical tools and strategies to characterize particular musical styles and genres; and the development of "hybrid" analytical systems and theories that integrate the aforementioned approaches. Furthermore, we whole-heartedly embrace research that encompasses various formal, cultural, aesthetic and philosophical analytical perspectives. It is our hope that by bringing together analysts from a broad range of conceptual and cultural traditions, new modes of musical description and understanding may emerge. Please visit the journal website to view the complete submission guidelines, as well as the current issue and online discussion forum. Maney is offering a 30 day free trial to MORE (Maney Online Research E-journal) Collections. Of particular note to AWOL readers is MORE Archaeology & Heritage. If your institutions subscribes to any or all of these, the links should resolve within your domain, or proxy. If not, contact your library. The full list of Journals available online from Maney. La revista Cuadernos de Estudios Gallegos, publicada por el Instituto de Estudios Galegos Padre Sarmiento, aparece con regularidad desde el año 1944. Open Access with a six month moving wall. Hardy, Samuel Andrew (2011) Interrogating archaeological ethics in conflict zones: cultural heritage work in Cyprus. Doctoral thesis, University of Sussex. This posting offers me the opportunity to mention several other blogs which focus on illicit art and antiquities, looting, and the like. These are the ones that come to mind on a Saturday morning. Let me know which others you think should be included.